Letters of Credit, Getting Paid, Loans, Grants, Credit Insurance, Drawback, Forfaiting, Currency Transactions, Fees & Pricing for Letters of Credit. General guidelines and helpful articles on Pricing Your Products, How to Start an Import-Export Business, Keys to Export Success, Becoming a Broker, etc. For additional reading, our Trade Reference Guide contains a significant amount of material on the above topics, including data on 100+ countries, export guides, import & sourcing guides, INCOTERMS, export financing and payments terms, and much more! 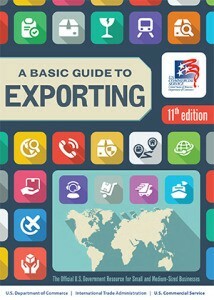 This comprehensive guide from the US Department of Commerce provides an excellent overview of the entire export process. 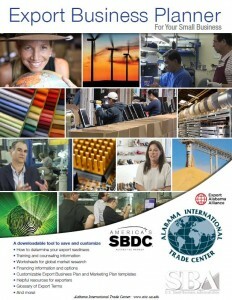 Whether you are new-to-export, or a seasoned veteran that needs a refresher, this guide is a great reference. After you’ve brushed up on the basics, call one of our trade specialists to take your exporting to the next level. This innovative tool is designed to serve as your roadmap for creating your Export Business Plan, exploring foreign markets, developing a Marketing Plan, exploring financing, costing your product, and more. But unlike a traditional printed manual, this Planner is a “living” document, ready to be customized and continually updated by you. The Planner includes a series of topical chapters to guide you through the export planning process efficiently, effectively, and at your own pace. You can tackle several chapters at once, or work through them one at a time. As you work through the various chapters and their coordinating worksheets, you’ll be developing and saving your custom Export Business Plan and Marketing Plan – right within the pages of the Planner. The research team at the Alabama International Trade Center is available to help you fill in the blanks – at no charge.